Spelt is a nutritious grain with a smooth texture and delicate nutty taste. Enjoy `al dente` with pasta sauces. 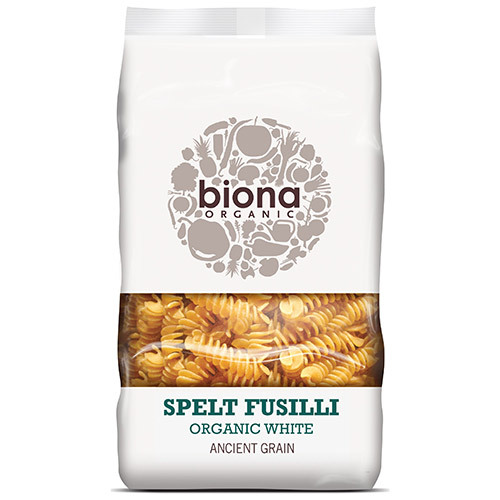 A great alternative to wheat pasta, Spelt is a popular ancient grain, with a better nutritional profile than wheat. Spelt is also lower in gluten than modern wheat, making it easier to digest. Place pasta in a large pan of boiling water (1lt for 100g pasta). Add salt to taste and simmer for 4-5 mins, stir from time to time. Strain and serve with pasta sauce. 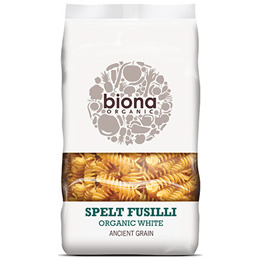 Below are reviews of Biona Organic Spelt Fusilli - White - 500g by bodykind customers. If you have tried this product we'd love to hear what you think so please leave a review.